Roundtables play a significant role in providing continuous supplemental training for unit leaders and provides program topic guidance and structure suggestions for unit leaders. A fun environment creates excitement around the coming month of activities and program for unit leaders to carry back for implementation in their units. A trained commissioner is an effective commissioner. 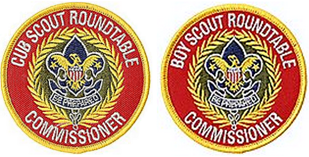 Roundtable Commissioner Training is designed to help roundtable commissioners conduct quality roundtables. The training includes resources and best practices.